Time for myself. What is that? I am sure a lot of people ask that question these days. We live in a busy fast pace world. 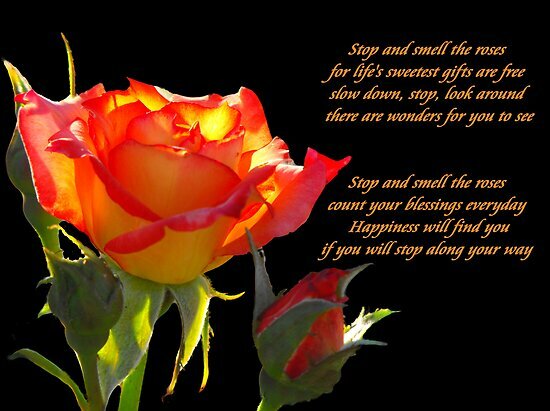 No one seems to stop and smell the roses. We work 8-10 hours a day, spend about 2-3 hours commuting and 6-8 hours sleeping. That is about 16-21 hours out of our lives, leaving anywhere from 3-8 hours to eat, shower, do chores, etc. So time for myself…again, what is that? Sad thing is that for us IBDers, stress is a big factor. It is know that the more stress you have, the more likely you will have a flare or it makes it harder to come out of one. We need to listen to our bodies when it tells us STOP! Let Me REST!! For me, I make sure to factor in some time to just chill and relax. I try to spend some hours at night just vegging out. This may be watching television or playing on the computer. But it is time for my body to relax and unwind. About every 4-5 weeks, I get messages. This helps in releasing the body of stress and it is a time for me to relax and not think about anything. There are so many ways for a person to make some time for themselves. One way is to take a class. It can be anything from educational to fitness to recreational. The reason I say a class is that they are usually scheduled ahead of time. This forces you to put it on a calendar and make the time for it. Another way to make time (and this is more for the ladies) is instead of taking a shower, draw yourself a bath and take a 1/2 hour or an hour to soak it up and relax. If you have kids, tell your spouse to watch over them for that time. Have some wine, play some relaxing music or read a book in there. Lastly, on the days off from work, instead of doing chores, take your loved one out and have some fun. Go to a movie or museum. Go for a hike if you like. Whatever it is, just do it. Don’t hesitate. If you don’t make the attempt, you will never do it and you will just keep yourself stressed. Now I know some of you are going to say that they just don’t have the time to do these things. I say, you do, you just don’t know it. If you have a kid, get a babysitter. If you work real long hours, then see about taking a personal day one day. If you just make excuses of why you can’t do it, then you need to look at yourself and ask why you’re not making the time. Crohn’s and Colitis is a tricky disease. We can go for years with no problems and then suddenly, BAM, we are sick for months on end. If we don’t take the time now for ourselves, we might regret it. No matter the situation you are in, there is always a couple of hours in the day to take as a “Me” time. So go do it now. Step away from the computer and go enjoy yourself with a loved one and do something fun. Go bowling. Go see a movie. Go to a museum. Doesn’t matter what you do….just go and do it. This entry was posted in Advocacy, Living with the Disease and tagged #NHBPM, Colitis, Crohn's Disease, Fun, health, IBD, Inflamatory Bowel Disease, Make time for yourself, National Health Blog Post Month. I think time for yourself is very important – whether you have Crohn’s, UC or not! It’s a very hard thing to do and sometimes you have to stop making excuses and just make the time like you said. Very well put!